There are two kinds of crimes: misdemeanors and felonies. Felonies are more serious crimes. 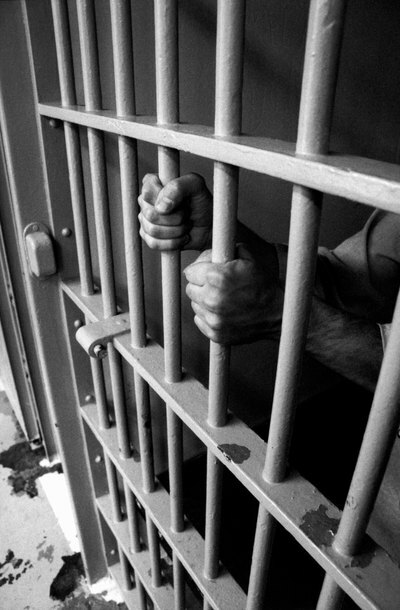 A felony is a crime for which the defendant could be sentenced to prison for more than one year. Because felonies are serious crimes, there are serious consequences to being convicted of a felony. In Texas, a felon loses his right to vote until he has completed his sentence, including prison, parole and probation. Absent restoration of his rights, a felon may not serve on a jury in Texas. Finally, federal law prohibits a felon from owning a firearm unless his rights have been restored. All Texas divorces require a trial. The trial can be a "prove-up," which is brief testimony before the court to formalize an uncontested divorce. Alternatively, in a contested divorce, the trial could take days or weeks and even involve a jury. Throughout this process, a felon enjoys the same rights as anyone else, including the right to testify, introduce evidence and argue his position to the judge. If an inmate is in jail at the time of his divorce trial, he can face problems in presenting his case in court. The inmate does not automatically get out of jail to go to court. He must ask the judge to instruct the sheriff to bring the inmate to court for his divorce trial, but the judge can deny that request. However, if the judge decides not to order the inmate be brought to court, the judge must allow the inmate a way to participate in the trial, whether by testimony given at the prison, by telephone or through some other means. Texas law permits a court to terminate a person's parental rights when he has been criminally responsible for the death or serious injury of a child. The crimes involved center on injuring or killing a child and on committing child abuse. A parent's rights can also be terminated if that parent attempted to or did murder the other parent or solicited the murder of the other parent. Termination of parental rights can take place as part of a divorce or in a separate proceeding. Committing a felony is a ground for divorce in Texas if the felon has been incarcerated for at least one year. Even if a felon was not locked up for a year, or the court grants the divorce on no-fault grounds, having committed a felony can affect how the judge divides the couple's property upon divorce. A judge could award more marital property to the felon's spouse based on the consequences of his crime. For example, if the felon's crime bankrupted his family, a judge might award whatever property is left to the felon's spouse. Marital misconduct is unacceptable behavior committed by a spouse during a marriage in North Carolina. A spouse may use marital misconduct as a reason for a legal separation and for postseparation support -- which is awarded during proceedings and before a final alimony order. Marital misconduct may also influence the court's decisions with regard to alimony.